Apple Stock After iPad - Cramer Says to Buy Buy Buy! Apple Stock After iPad – Cramer Says to Buy Buy Buy! 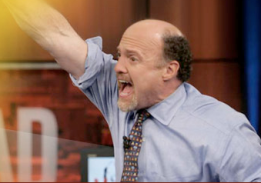 Money man Cramer says to “buy, buy, buy…” when talking about Apple stock! Over the weekend, Apple sold 300,000 iPads! Apple continues to show strength in Mac sales as well. And although we’ve seen a point or two decline in quarter iPhone sales, there is no doubt that the iPhone is still selling like crazy. The next big anticipated move from Apple will the release of iPad 3G. However, we are still not quite sure on the exact date of the coming iPad 3G, only that it will be sometime toward the end of April.